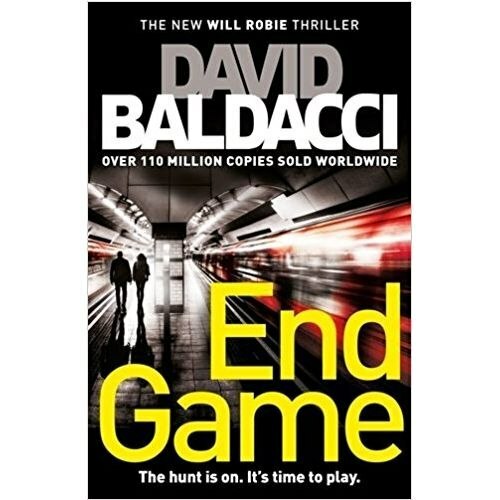 End Game is the fifth book in the thrilling Will Robie series by international number one bestselling author David Baldacci.Will Robie, highly trained assassin and the US government's most indispensable asset, is called to London.An imminent terrorist attack threatens the Underground and with the US next in line, Robie is the perfect choice to stop it before it begins.He knows he has one chance to succeed. One chance to save London. One chance to make it safely home to find out what has happened to fellow agent Jessica Reel following their last deadly mission together.But Robie is about to learn that even if he succeeds, the worst is yet to come.The game has started. Now only he can end it . . .